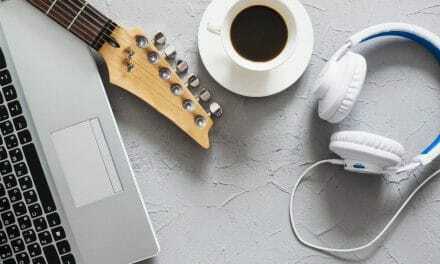 When it comes to free music streaming services, especially for Bollywood or Hindi music, then our choice is narrowed down to four most popular music services which are Gaana, Saavan, Wynk and Hungama. All these services work on the similar lines yet differ in many ways. However, this article will provide you with detail review of Gaana from different perspectives such as collection of songs, website and application features, etc. 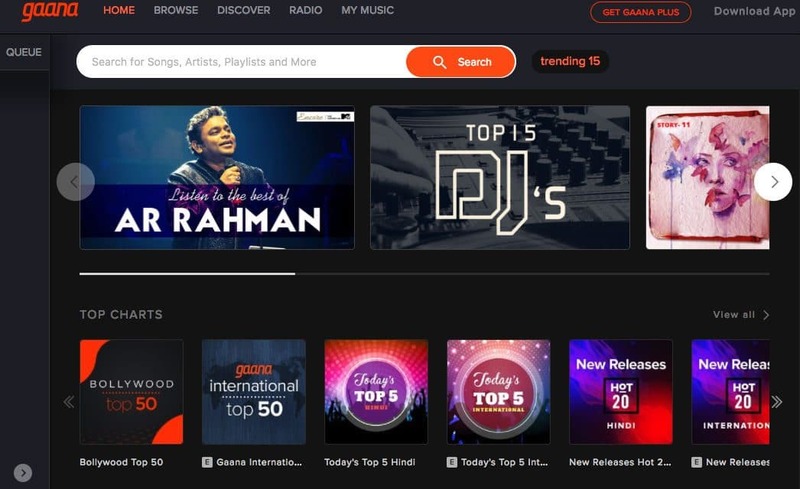 Times Internet, a subsidiary of The Times of India Group, owns Gaana. It was launched in the year 2010. Gaana has a website as well as an application for portable gadgets on platforms like Android, Windows and iOS. You can easily navigate to Gaana via its website. You can open it easily on any desktop or smartphone. The site is mobile responsive, and the only essential requirement for it to function correctly is Adobe Flash. You do not necessarily have to sign up for playing any music. However, if you are interested in creating playlists or looking for ways to download songs, then you must create an account on its portal. Also, if you have an account with Gaana, then you can share your activities on social media such as Facebook, Twitter, etc. Gaana has application support for all major portable gadgets operating systems such as iOS, Android and Windows. You can fire up its app on your smartphone or tablet without any issues. I found out its app better than the website regarding accessibility. I am impressed with Gaana when it comes to its website and application UI (user interface) experience. As soon as you open its website or app, the interface looks vivacious. You see different tiles as trending songs, New releases, Top charts, Editor’s pick, etc. I mean there is nothing more you could wish for. The top bar of its site has options like home, browse, discover, radio and my music. You also get search bar to look for an album, artist or a song quickly. Whereas, its application has the major options in the bottom bar. My music is only applicable if you have free or paid account with Gaana. I know, it’s no big deal if the mobile app has a good interface but when you get the mobile site with comparable functionality, then it is icing on the cake. I will give 8/10 for Gaana application and website user interface experience. Gaana is a commercial music app which serves free as well as paid music. Free option does show you advertisement here and there on its application and site. But to me, nothing looked over-killing. I played several tracks and could not hear any ads in between songs which could have been irritating. Also, the static placement of Ads on its application will not obstruct your view. However, if you go for its paid subscription, then you will have an Ad-free experience. Also, with a paid account you can do unlimited music downloads and can listen to music in HD quality. The subscription model is quite competitive where you can opt for one month, three months, six months and one year. One month paid plan is mere Rs. 99 or approx. $ 1.5. You have to appreciate the fact that you can stream unlimited music at no cost. A little bit of advertisement is acceptable, and I will rate my experience as 9/10. 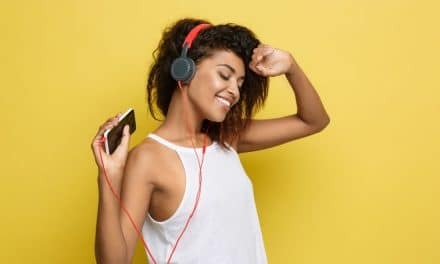 Gaana features songs in 21 different languages including Hindi, English, Bengali, Telugu, Odia, Kannada, Tamil, Malayalam, Marathi, Punjabi, etc. The entire music library is available across the globe. You will get mostly all latest songs either in Hindi, English or any other language. Some of the most popular genres on Gaana are Bollywood songs, Romantic Songs, Kids Songs, Rock Songs, Disco Songs, Ghazals, Bhajans, etc. Also, you can sort songs based on artists such as Ed Sheeran, Justin Bieber, Rihanna, Luis Fonsi, Arijit Singh, Charlie Puth, AR Rahman, Honey Singh, Armaan Malik, Sunidhi Chauhan, Young Thug and many more. The best part of Gaana is its special curated playlist in different languages. So, if you come here with the mere thought of good music, then I am quite sure you will not be disappointed with the collection of tracks. Some of my favourite playlists are US Top 50, Ganna International Top 50, New Release Hot 20 International, Bollywood Top 50, Today’s Top 5 Hindi, etc. The options are many, it all depends on what suits your needs. I will give 8/10 on its excellent collection of songs, artists and playlists. Any free user would get to stream music at 128 kbps bitrate, which is also radio music quality. I know it is not the best sound quality, but it is manageable. However, if you are paid user on Gaana, then you will be able to stream and download music somewhere between 160 kbps and 320 kbps, which is near CD quality music. There is nothing exceptional in music quality, and I will rate it 7/10. My experience of Gaana music player was good if not great. Apart from primary options like play, pause, next, backward, shuffle and loop, you get options such as lyrics, queue, like and download. If you are playing any playlist, then queue option comes in handy. You can quickly add songs in any order per your requirement. You can only download songs when you have paid subscription. Apart from this, you can like any song (by clicking heart symbol) and keep it on your favourite list for future reference. Nowadays, music apps like Apple music, etc. have the facility even to play songs stored locally on your smartphone or tablet. This is great since that way you do not have to switch between music apps. Hence, I will rate its music player as 7.5/10. Summary Gaana has over 30 million songs in 21 different languages. Here you can stream free music and also get an option to download music tracks for offline listening. It has a feature-rich music player with an option to read the lyrics. Song quality is good. As if now Gaana is running 14-days free trial. Overall, a must have music app for everyone. 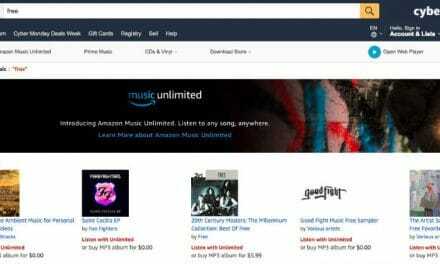 How to download free songs from Amazon.com?